Today’s Halloween Horrors contributor is Brett Wainer. In addition to being a longtime friend, Brett is also a returning contributor, having participated in the last 2 years of the series. You might remember his take on Dawn of the Dead from our 2016 series, but just in case you don’t, here it is again as a refresher: HH2016 – Dawn of the Dead. This article may be something of a consolation for Brett as he REALLY wanted to tackle Night of the Living Dead with his topic this year. However, as my wife claimed 1968 with her topic for this year’s series, Brett was forced to go with a “back-up”, albeit one still from the same iconic “franchise”. There’s not really a point in my mentioning this, other than to remind him yet again about his misfortune. In all seriousness, as we close out a trifecta of pieces reflecting on Romero’s work, I can’t help but feel that this just serves as a reflection on just how much of an impact his films made on so many of us. I can almost guarantee that future contributors to this series will also be trying to beat each other out for the chance to write about the experiences with his films. 1985. This was a great year for horror. Classics like Re-Animator, Fright Night, The Stuff, Phenomena, Return of the Living Dead, and the (kinda) return of horror heavyweight Jason Voorhees in Friday the 13th Part 5: A New Beginning. But I’m not here to talk about any of those films. In 1968, a Pittsburgh native changed the world as we knew it with his classic groundbreaking film Night of the Living Dead, which turned out to be one of the most influential horror films ever made. In 1978, he returned to the world of zombies with its sequel, Dawn of the Dead, a film which lived up to the original in many ways… which was no easy feat. 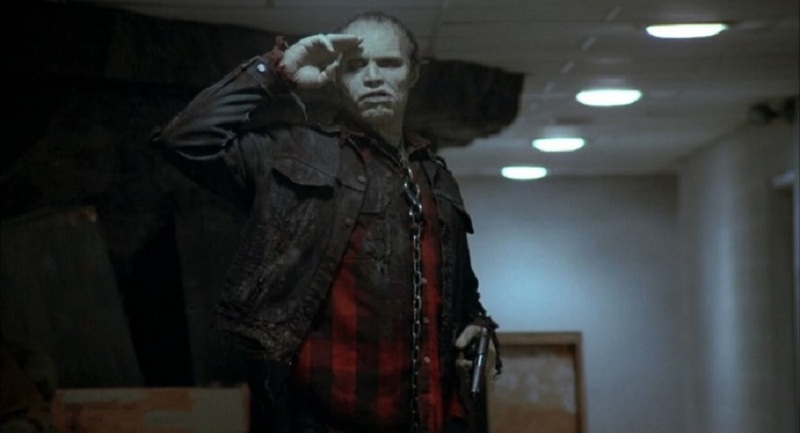 In 1985, George decided to expand on his zombie lore with Day of the Dead, which starred Lori Cardille, whose father was in the original 1968 film (Chilly Billy Cardille). The 3rd part of what has become known as Romero’s “Living Dead Trilogy” had huge shoes to fill. Where would George take us now? Night had its bleak ending, but Dawn left us with hope that humanity could go on. However, George immediately returns to bleakness for Day with the zombie outbreak all but taking over. A group of survivors is holed up in an abandoned mine and has lost contact with civilization altogether. A group of scientists lead by Dr. Logan, aka “Frankenstein” (played by Richard Liberty), and Sarah (Cardille) are researching the cause of the outbreak and a way to stop it. They are protected by the military, which is lead by Captain Rhodes (Joe Pilato), who is in no way happy with their results thus far. This leads to some serious tension since his troops are forced to capture zombies in order for Logan to do his research., which lead to his predecessor Major Cooper’s death. Rhodes finds the star pupil of Dr. Logan’s research, a zombie named “Bub”, who is able to be somewhat domesticated, but only sets him off further. Tom Savini is back for his make-up FX. This film also paved the way for the future masters of FX, bringing on Greg Nicotero and Howard Berger, who went on to form KNB, as well as Barry Anderson, who worked on the first 2 Jeepers Creepers films. The zombies and gore never looked better, helping to add to the tension and build-up of the film. I can remember watching the film for the first time. Being a huge fan of the first two films, the anticipation was high. I remember being so moved by the film’s bleak tone and the amazing FX. After seeing most of the previously mentioned films prior to this, I also admired the film that much more. Romero didn’t take the previous films of the series and try to make light of them or the situation those characters were in. It followed suit to further the story started in 1968, and showed you a place that you wouldn’t want to be in, and left you somewhat unnerved knowing where our world was headed. Unlike any other film that I saw from 1985 (and many of them are classics), this one stuck with me like no other. 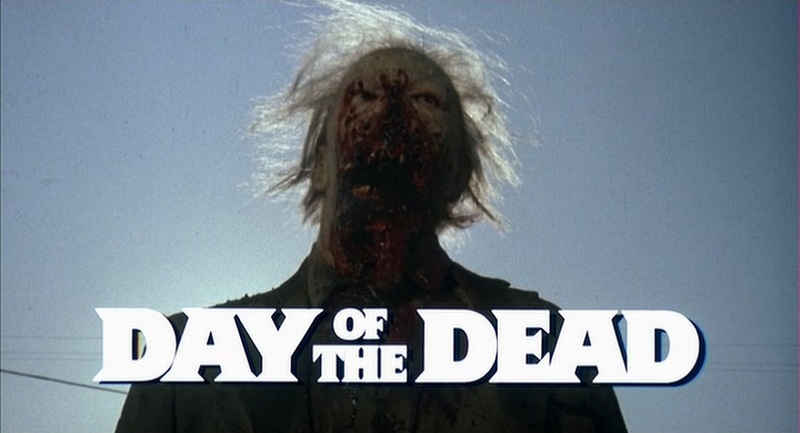 It fully cemented George A. Romero as the greatest horror director of modern times (in my eyes, at least), with Day of the Dead being an excellent end to the Dead Trilogy and, in my opinion, the best horror film of 1985.